We have now closed for the 2018 season, but if you are looking to book for 2019, please fill in the "how to book" form, and we will get back to you with a quote. Whether you are looking for a late summer break getaway or a glorious autumnal holiday in the UK, a campervan hire from GoBongo is the perfect way to explore the beauty of Wales, England and Scotland. From award winning beaches in Pembrokeshire and the Gower, to stunning mountain scenery of the Brecon Beacons and Snowdonia National Parks, you will have total freedom to explore. Our vans come equipped with everything you need for a relaxing holiday or short break. 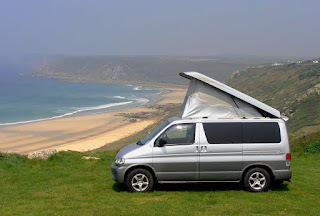 Our "Gower" van has been carefully converted using all our experience, and will give a superb Bongo experience. 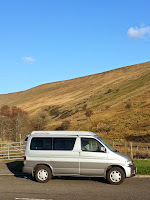 Alternatively, you can try our amazing "Brecon" van with the ever popular side conversion. 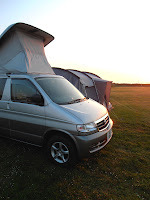 Take a look at our hire rates and then send us your dates and choice of campervan on our how to book page for a no obligation quote, and you too will soon be Going Bongo!